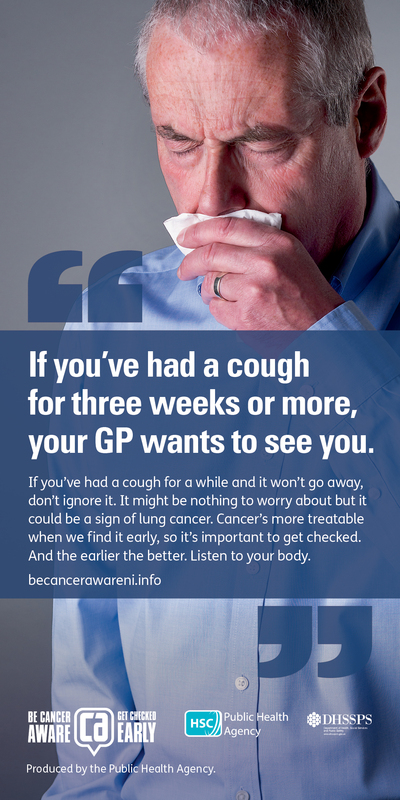 The second phase of the Be Cancer Aware campaign includes television, radio, online and press advertising throughout Northern Ireland. This phase focuses on lung cancer. 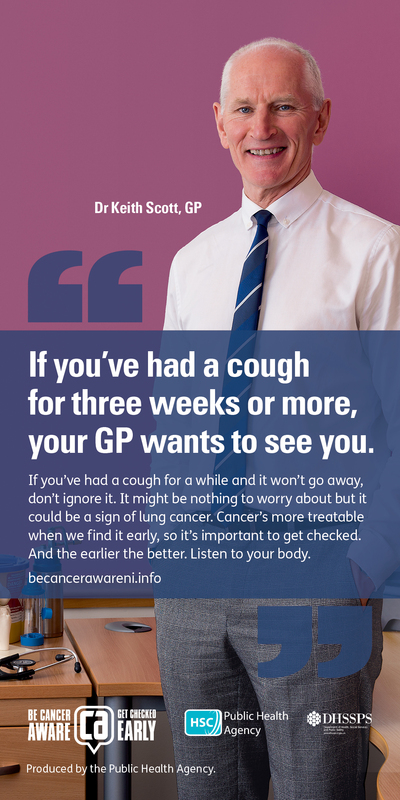 It highlights why if you have been coughing for three weeks or more, it is important to talk to your GP as cancer is more treatable when it is found early.